Sultans was also established for PSL in 2017. On 20 December 2018, Ali Khan Tareen got the rights of Team. 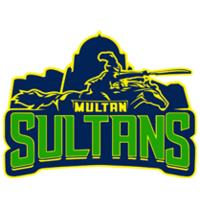 It is Multan based cricket franchise and owned by Ali Khan Tareen. Shoaib Malik is the captain of The Team. Earlier, the head coach of the team was Tom Moody, but he withdrew from his responsibilities. So, recently Johan Botha has been appointed as the head coach and the director of the team is Wasim Akhtar. Nadeem Khan is the manager of the Team.